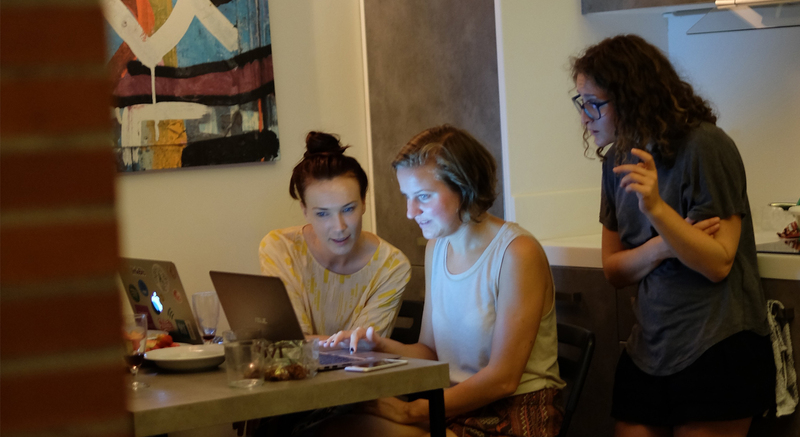 I just spent one week in Barcelona together with 100 other Swedish ladies learning how to code, as part of the coding camp initiative Tjejer Kodar. I attended the “How to become a hackathon pro” course and my focus for the week was on understanding the basics of Python and learning how to gather and visualize data from different APIs. Others learnt everything from the basics of web development and hardware development to how to build games in React and C#. 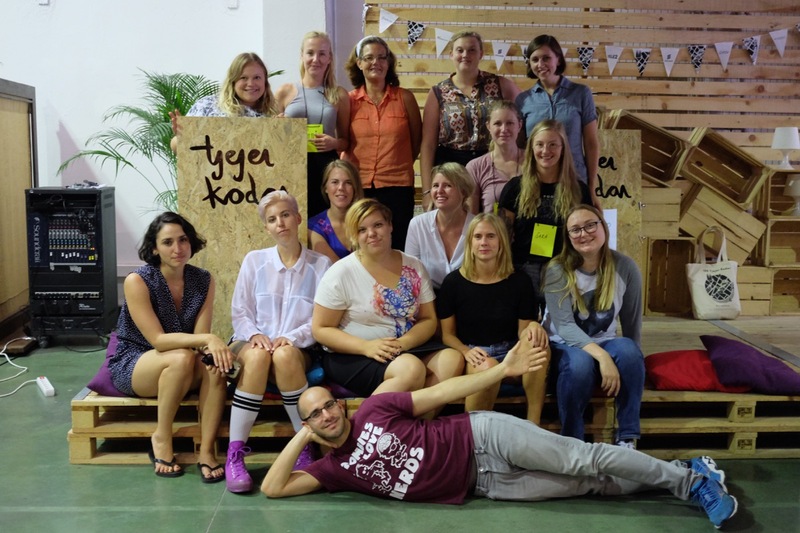 Tjejer Kodar started with the aim of getting more women into programming. The organization was founded by Sandra Hindskog and Hanna Pettersson in Stockholm, Sweden, and to date almost 200 women have taken part of their coding camps in Spain and London. I work in Digital Marketing and Communications. My focus is on text, ads, communication, branding and so on. Yet, I believe everyone can benefit from learning how to code – especially if you are working in marketing. (Read my article from earlier this week for Swedish Internetworld: Därför bör alla lära sig att koda – och så kommer du igång.) Below are some key reasons why everyone should learn basic code, with inspiration from Hanna Pettersson and Viktoria Asp who I got to know at Tjejer Kodar. If you can read, understand and write some code, you will get a much better sense of what is actually possible to do with different IT services, and also how easy or difficult different things are to achieve. When buying IT services for your company or yourself, you’ll be able to give a much clearer brief, and also to understand what the IT company / IT consultant is offering you, and what questions and details they might need from you. Making the process much more effective and useful. Speaking the “same language” makes it so much easier to communicate with colleagues in different departments. Marketing can better describe their needs to the IT department, and give them much clearer directions on what they need help with. Become more independent and learn how to make web changes or how to collect, analyze and visualize large amounts of data by yourself, without disturbing the IT department with these basic tasks and instead, let them focus on the more challenging stuff. Also – it feels great to be able to do things quickly by yourself instead of waiting around for someone to come and help you. Learning how to code, suddenly, you can start creating things by yourself on the web. Like a beautiful website about travel, a script that takes over your manual workload (like going through and analyzing long, long lists of data), sneaking on your friends on Facebook or creating an app that combines your favorite images of cats from Instagram, Pinterest and Google and gather it all in real-time on a giant pin-board. Possibilities are endless! Are you an aspiring start-up entrepreneur with the perfect app idea hoping to make it big, but feel stuck because you don’t know how to code? Well, you are in the ultimate position to find the motivation to learn programming by yourself! 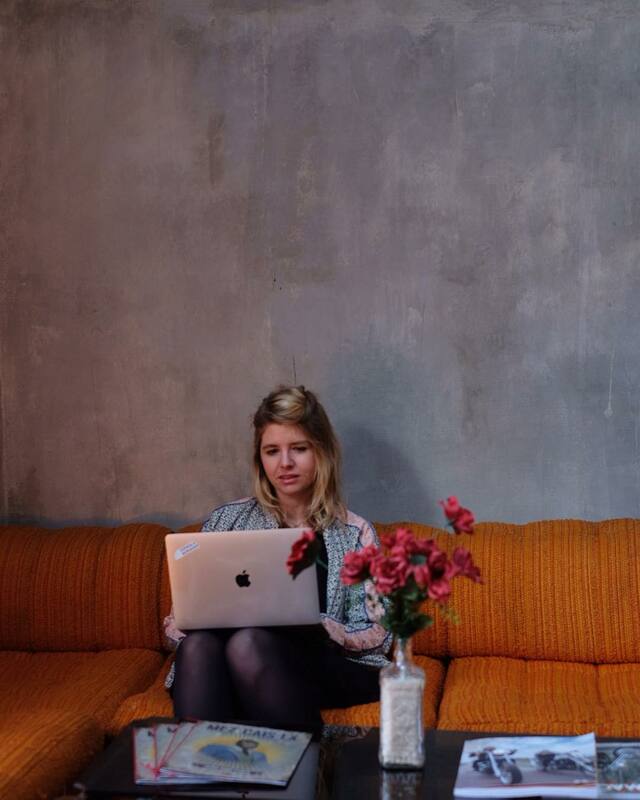 As Hanna Petterson at Tjejer Kodar told me – one of the best ways to learn how to code is if you have a clear goal to work towards and learn the different methods you need along the way to finish your project. And even if you just come a bit on the way on your own, at least it will be easier to involve a developer later on in the project once you’ve started creating the platform and the road map for where you want to go. Check out Code Academy and their free courses. Attend a course, like Tjejer Kodar (or if you are London-based, go check out the team at 23 Code Street and their great project where they teach one disadvantaged woman in India how to code for every woman that signs up to their courses here in London). Google is your friend! If you are facing a problem, most likely, hundreds of people have experiences the same problem before you. Go Google it! Github is a great community for developers all over the world where members showcase and share their code. Here you are welcome to use other people’s code and keep on building on or modifying it to create what you are looking for. Start of by signing up for an account! Start of with the basics – html and css are good places to start because they are more visual languages and you can see how changes you make in the code reflect directly on the screen. 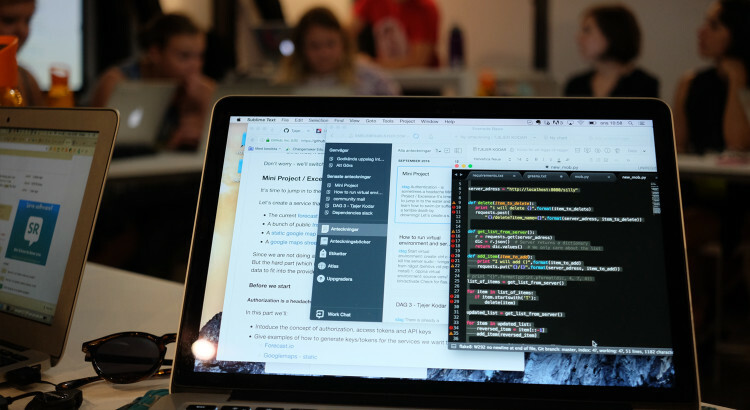 Find a meetup with others who want to learn or teach how to code. There are tons out there! Just go check out some at Meetup.com.